Huola system, The Bleak Lands region. On the 28th of January at 14:24 EVE Standard Time, Did he say Jump [JMP-N] and Siege Green. [SSGRN] clashed in the system, resulting in a full capital brawl. The battle was prompted by Did he say Jump. The alliance had spotted Siege Green. and the Amarr militia bashing an infrastructure hub in the Dal system in Heimatar with dreadnoughts. Quickly forming an estimated 35 pilot Proteus strategic cruiser fleet in response, the force was too late to tackle the dreadnoughts, who finished their siege cycles and jumped back to their home systems. Wishing for a fight regardless, the Proteus fleet made its way to the Huola system, which acts as Siege Green.’s staging, and loitered around, hoping to draw a response from the locals. Siege Green. obliged, forming a 30 pilot Machariel battleship fleet with a couple of force auxiliaries in tow to serve as a logistics wing. At the same time, Lost Obsession [FATE], Siege Green.’s ally, was forming its own fleet. The two alliances had scheduled a joint fleet later that day, but seeing the Did he say Jump fleet decided to change plans. Lost Obsession formed a separate fleet of Armageddon Navy Issue battleships & several dreadnoughts with force auxiliaries to serve as logistics. All told, the force was approximately 30 pilots strong. Siege Green. engaged first, warping to the Kourmonen gate in Huola where the Did he say Jump fleet waited. The battleships exited warp alongside their force auxiliaries, landed near the strategic cruisers and opened fire. The two sides started a close range brawl, nicely suiting the Machariels, which were equipped with autocannons to shred the strategic cruisers. 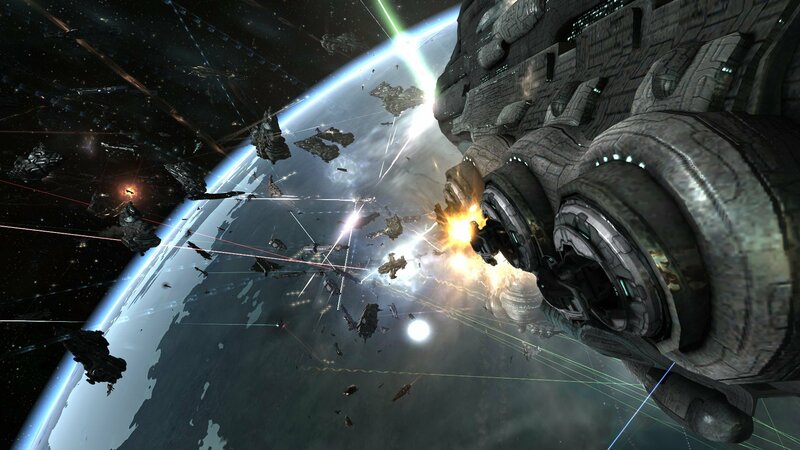 The Proteus fleet retaliated with beam laser and railgun fire, both sides trying to overwhelm the other. The opening barrage saw Did he say Jump cave in first, a strategic cruiser torn apart by the Machariel fleet which managed to soak the incoming damage thanks to its force auxiliaries. Realizing the force auxiliaries were more than able to sustain the Machariel fleet not to mention tank the entire Proteus fleet easily, Did he say Jump chose to escalate matters. A cynosural beacon lit up and into the field materialized 2 dreadnought squadrons belonging to Did he say Jump. The dreadnoughts entered the fray, started their siege cycles and trained their guns on the force auxiliaries. The Siege Green. force auxiliaries could not hope to tank the immense firepower fielded by Did he say Jump. Capital munitions rained down on the force auxiliaries, demolishing shields and armor with ease. First to cave in was a Ninazu force auxiliary, followed only a minute later by an Apostle force auxiliary. Siege Green. reacted immediately and started to warp more force auxiliaries to the field, as well as a hastily assembled carrier squadron. The carriers landed close to the dreadnoughts, launched their fighters and joined the fray. However, being so close to the dreadnoughts and with the force auxiliaries still trickling in, the combat carriers started taking losses as the two sides fought. The fighter squadrons focused, alongside the battleships, on the opposing dreadnoughts. As losses mounted for Siege Green., Did he say Jump seemed to be in control of the field. At this point in the battle, Lost Obsession arrived. The alliance had some difficulties in bridging to the system, but finally managed to do so, landing at 70 kilometers from the maelstrom. Once on grid, the battleships joined their allies, focusing their fire on the hostile dreadnoughts while their own entered siege cycles and started firing from afar. With the reinforcements in, the balance of power shifted to Siege Green.’s favor. The exchange that started to look one sided evened out as the two fleets traded capital ships back and forth. A Did he say Jump dreadnought would explode in a bright flash on the grid, only to be followed by a Siege Green. carrier. Slowly, Siege Green., together with Lost Obsession, was turning the tide of the battle. As the fight wore on the trade off between the two sides once again became uneven, only this time in favor of Siege Green. and Lost Obsession. While combat carriers and dreadnoughts were still succumbing to the onslaught, they were often accompanied by 2, sometimes 3 of Did he say Jump’s. As the sides kept brawling, it became quite apparent Siege Green. and Lost Obsession had gained the upper hand in the battle. Realizing sacrificing any other dreadnoughts would be futile, a few Did he say Jump capitals which had exited their siege cycles were given the order not to re-engage and instead withdraw. A few dreadnoughts managed thus to escape the fight, while Siege Green. and Lost Obsession switched their focus to the force auxiliary Did he say Jump brought to support its strategic cruiser fleet. The lone Apostle soon came under the combined wrath of the allies fleets and was easily dispatched, with the ship unable to mount an effective resistance against the overwhelming firepower thrown its way. With their capitals either destroyed or in retreat and having lost their force auxiliary, Did he say Jump forces decided to extract from the field, leaving the gate in control of Siege Green. and Lost Obsession. With the field secured, the two alliances gathered the remainder of their forces and extracted as well, leaving the grid and bringing an end to the fight. Battle report for the Huola system can be found here. All told the battle lasted 22 minutes with Time Dilation not reported and the system hosting 147 pilots at the height of the fighting. Did he say Jump lost 28 ships in the fighting, including 16 dreadnoughts, 1 force auxiliary, 1 carrier and 3 strategic cruisers for a total of 60.46 billion ISK damage. Siege Green. and Lost Obsession lost a combined 19 ships including 5 dreadnoughts, 6 force auxiliaries and 4 combat carriers for a total of 40.82 billion ISK damage. A lot of thanks for all your valuable labor on this site. Kate loves carrying out investigation and it is obvious why. My spouse and i know all about the lively tactic you create practical things via your web blog and as well invigorate contribution from website visitors on that content while our own princess is always becoming educated a lot of things. Take pleasure in the rest of the new year. You’re the one conducting a powerful job. you’re actually a just right webmaster. The site loading speed is incredible. It seems that you’re doing any distinctive trick. In addition, The contents are masterpiece. you’ve performed a magnificent process in this subject! I’m seeking some actually great company blogs to include in my google reader that are worthwhile following on a continuous basis. Can you make and also suggestions? I have Seth Godin’s already. Many thanks!. It would certainly likewise be helpful if you told me why you suched as these blog sites. hey there and thank you for your information – I have certainly picked up anything new from right here. I did however expertise some technical points using this site, since I experienced to reload the site many times previous to I could get it to load correctly. I had been wondering if your web hosting is OK? Not that I’m complaining, but slow loading instances times will sometimes affect your placement in google and can damage your high quality score if advertising and marketing with Adwords. Well I am adding this RSS to my email and could look out for much more of your respective fascinating content. Ensure that you update this again soon..
Rattling informative and good body structure of content, now that’s user friendly (:. Leave a Reply to Clemencia Cotter Click here to cancel reply.